While the final part of the series of the Lachlan Stuart photograph was in progress, a thought occurred to me as I was considering this oft vilified forester. Lachlan Stuart and other authors of classic Nessie pictures have been branded as hoaxers by mainstream Nessie analysts today. For example, it has been suggested that Hugh Gray knowingly photographed a dog, Kenneth Wilson was in on a plot hatched by Marmaduke Wetherell to fool the Daily Mail. Likewise, Lachlan Stuart is accused of setting up some hay bales in the water whilst Peter MacNab deviously photographed nothing more than a boat wake and then touched it up in his photographic dark room. Of course, there are others such as Frank Searle and Tony "Doc" Shiels, and the list of the accused is long and wide. Now, I reject the contemporary statements that all the classic Nessie pictures have been explained away. I have critiqued that assertion on this blog before and found it wanting. However, it was a series of similar statements from debunkers that got me thinking. Whenever a photograph was discussed, such critics would, of course, reject it but they would sometimes add a statement to the effect that the hoax got out of hand or what started out as a simple joke blew out of all proportion when the media got their hands on it. The implication of such a statement being that the hoaxer underestimated the public reaction to their photographs. This led me to ask a question. If the so called hoaxer was taken aback by such a media reaction, what then should his reaction be? One might retort that the answer depends on the personality of the hoaxer. That is true but tells us nothing. But if we look at the reactions of known hoaxes, we may get a better picture. As it turns out, only one photograph (as far as I know) had a public confession and that was the Surgeon's Photograph. The confessor was Christian Spurling who admitted to modelling the now iconic image. However, the man who was the focus of attention was Dr. Kenneth Wilson and his reaction to the limelight was markedly different. 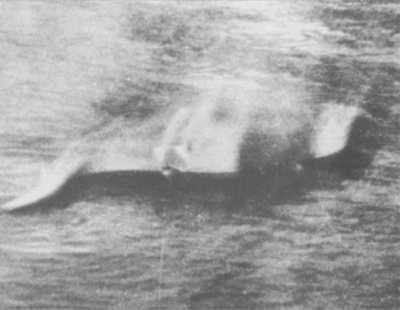 As Alastair Boyd and David Martin point out in their expose book, Wilson did not confess but was very evasive in his answers to Loch Ness researchers, even to the point of obliquely suggesting all was not as they thought with the photograph. But was not Wilson a great practical joker who loved a laugh? I wouldn't wish to dispute that, but when a practical joke such as this becomes a media monster of international dimensions, even a hoaxer knows when to stand back and say no more. Wilson, of course, did the right thing, the hoax had produced the desired effect at the time but there was no need to prolong it or succour it any more and he henceforth minimised his involvement with the affair. Pushing it any more would be counter productive, intrusive and possibly detrimental if it ever was exposed in his lifetime. I would put it to you that Kenneth Wilson is the model one-off hoaxer and provides a template as to how other hoaxers would proceed once the initial, desired effect has been achieved - they tend to retreat and shut up. In that light, how have other alleged hoaxers reacted to the spotlight being trained on them? In the case of Hugh Gray, after the initial flurry his photo caused, he did not batten down the hatches but continued to retell his story with deliberate conviction. So, we find that he met up with Constance Whyte 22 years later in 1955 to openly discuss his photograph. Five years later, Tim Dinsdale met up with the man he described as a gentleman and courteous in 1960 and they walked to the spot where it all happened. I suspect Hugh Gray was aged about 70 by the time he met Tim, so the record of his persistence in being public about his story probably did no extend much further. In the case of Lachlan Stuart, there was the initial publicity as reporters from the Sunday Express plus Constance Whyte and Maurice Burton who engaged Stuart during their investigations. However, again, this Loch Ness Monster photographer did not shirk the limelight thereafter as he appeared seven years later on the BBC TV documentary "Legend of the Loch" in 1958 to be interviewed for national broadcast. Details of that interview can be found here. When Peter MacNab's photograph hit the headlines in 1958, it became a classic, possibly only outdone by the Surgeon's Photo. Did MacNab do a Wilson and duck the attention of the media once the initial hubbub was over? Not a chance. In the decades ahead, he would readily correspond and help out various Loch Ness researchers such as Mackal, Raynor and Boyd. In fact, nearly 25 years later, he would take part in the making of the "Arthur C. Clarke's Mysterious World" episode on the Loch Ness Monster which was televised in 1980. 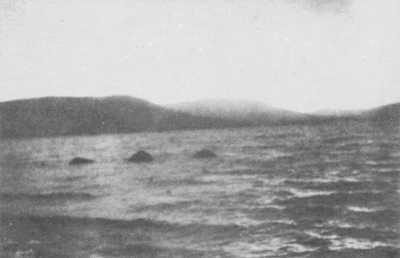 So we see nothing in the way of distancing themselves from the supposed hoax or any attempt to offer subtle suggestions that what they photographed was perhaps not a Nessie. The psychology of these so called hoaxers is running counter to the one test case we have. But what about Frank Searle and Anthony Shiels you may ask? Did they not hoax photographs but continue to defend them to the hilt? Does this not nullify any argument here about hoaxers distancing themselves from their work? I would suggest the answer to that is "No". The difference between Searle and Shiels and the other grouping is that these two were serial hoaxers whilst the other alleged hoaxers were "one shot" perpetrators. If you are a serial hoaxer, you do not cast doubt upon your own work because after one picture is out in the public domain, the seed for the next one is already planted. If you distance yourself from one, you have to distance yourself from the rest and this is counter-productive to your lifestyle. This group has to be treated differently to the others in terms of modus operandi. In summary, the scenario of the "single hit" hoaxer based on Kenneth Wilson suggests an underestimation of the media attention and an attempt to walk away from the story without confessing outright. The high such a hoaxer gets from this adventure is short lived and further intrusions into normal life tend to be unwelcome as one is obliged to repeat at length a lie. Gray, Stuart and MacNab displayed no such behaviour which suggests they may have actually been telling the truth.